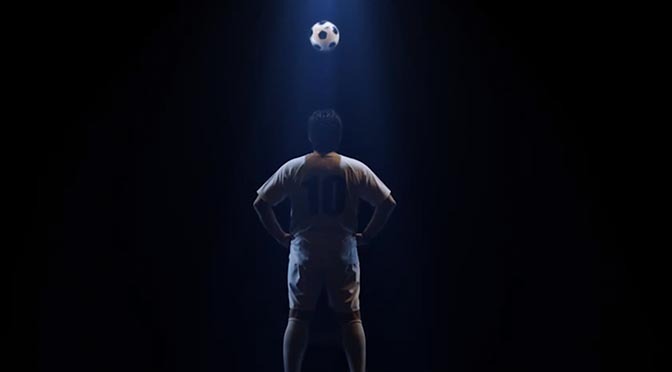 Former soccer star Paulo Futre﻿, one of the great Portuguese players of the 1980s and 1990s (Sporting Lisbon, FC Porto, Atlético Madrid, AC Milan, SL Benfica), is now the star of a commercial that just went viral both in Portugal and Spain with 100,000 views on the first day. The commercial advertises “Libidium Fast“, a Bliss Natura sexual supplement that helps 48 year old Paulo Futre keep performing at his top level. A knowing look from Paulo provides the suggestive feel as he keeps a soccer ball bouncing above his head. The Libidium Fast ad was developed at ExcentricGrey, Lisbon.